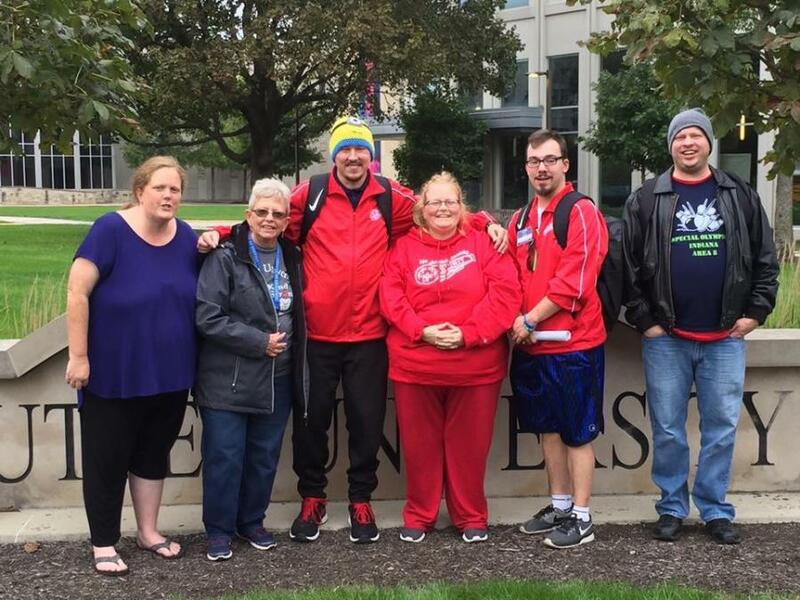 To empower athletes to develop leadership skills and utilize their voices to assume meaningful leadership roles, influence change in the Special Olympics movement, and educate communities around the world that results in positive life changes! ALPS University exists to enhance the lives of athletes with ongoing leadership training and experience in the areas such as Governance, Sports, Global Messengers; it brings together talented athletes in an atmosphere of sharing, knowledge, trust and respect! ALPS stands for Athlete Leadership Programs. It was started years ago by Lynn and Mike Doyle here in Indiana. It is a program of learning to be an athlete leader! ALPS is divided into essentially 4 "Majors" for which you work over a period of at least 2 years to receive a specific Degree! Boards and Committees, Input Councils and various Technology classes that would help in preparation etc. Including Athletes as Coaches and or Athletes as officials. Again Technology classes are encouraged here also since many of the courses taught are Online ! Everyone attending ALPS is required to take an Introduction to Athlete Leadership class first! It is designed to determine where an athletes strengths lie. Athletes attend classes with their adult mentors, who attend with them to serve as a helper sounding board etc. Mentors are asked to make at least a two year commitment to their athletes. ALPS Meets twice a year for two days in the Spring and Fall at Butler University. The classes are geared to the athletes themselves and many are actually taught by Athletes! After completing a Major class the athlete is required to do a hands on practicum which is done to increase their continued learning in their major! They are required to serve in assistant coach roles, many volunteer positions and even to be utilized in speech making and presentations outside their immediate groups. After completing each practicum usually over the 5 months between classes, they take additional classes until they have satisfied all requirements and practices for their degree. Then they do a Capstone project which will utilize all they have learned for the benefit of the greater audience and themselves! CONGRATULATIONS TO OUR ALPS ATHLETES! Josh Saupe had been involved in ALPS since the fall of 2014. After attending his Introduction class, he decided he wanted to pursue the Sports degree which he received in October of 2016. He was actually 1 of 9 athletes who were part of the 100th degree given for ALPS. For his Capstone project he chose to bring 2 more members of the Hendricks County Spirit to ALPS. After asking many different team mates , Corbin Wood and Lorrie Bunch started their ALPS journeys, infact, Corbin will be receiving his first degree this Spring in The Sport degree he worked with MARION County west as an assistant basketball coach last year! For his Practicum ! His Capstone project is bringing soccer to Indiana! Lorrie is starting on her requirements for her technology degree! Josh will be receiving his second degree this Spring In Health and Fitness. He has already earned his Advocate of Heath Certificate by Doing presentations to his Bocce team this past spring . And this fall and winter, he will be presenting education programs to some of the other sports within our Spirit teams, which will full fill the practicum requirements for his second degree!